Asamoah Gyan is one of the highest-paid footballers in the world, and with a reported weekly earning close to $250,000, there is very little he cannot afford! But the darling captain of the Ghana Black Stars is also raking in some money off the field, with his numerous business investment. The footballer has already started planning for life after football with his involvement in other areas of business. 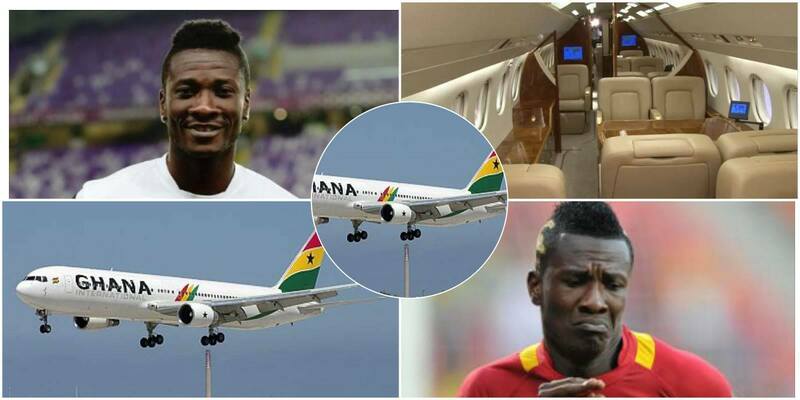 Here are some ways Mr Gyan is making money off the field. Gyan is the brand ambassador for numerous products, making his wallet weightier with each endorsement. The all-time Ghana top-scorer has numerous businesses, including a transportation firm with vehicles plying Accra to Kumasi on a daily and weekly basis. He is also a boxing promoter who owns and bankrolls ‘Baby Jet’ promotions, which currently has IBO Lightweight Champion, Emmanuel Tagoe on its list. The footballer’s love for huge buildings is no secret and he has bee reported to own a few. But he also has commercial building spaces which he rents out, including one with a fuel station in East Legon. Well I am not sure he makes any money with his singing career, but Asamoah Gyan also has a music band that plays at various events . So that provides him another avenue to make some money.